Gorgeous Jam Berry linen sheet sets that include: one fitted cot sheet and one flat cot sheet, pillow, blanket and drawstring bag included in each Linen Pack! 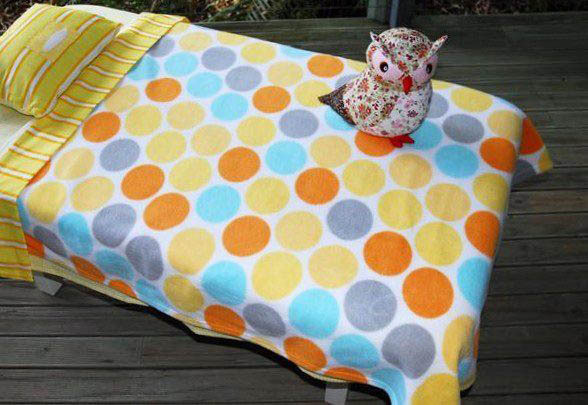 Absolutely gorgeous to look at, this preschool sheet set is styled especially for preschool, kindy, daycare and child care cots, mattresses and floor mats.. The fitted sheet has elastic the entire way around the bottom sheet for a good fit. 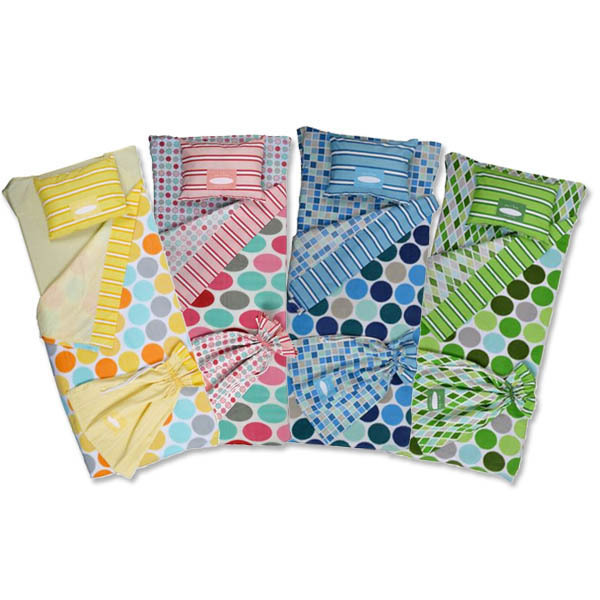 Available in 4 fun colours- blue, yellow, pink and green, these preschool linen sheet sets will make naptime soothing and comfortable for your little one. Size: To fit baby cot or childcare floor mat. These sheets are awesome. 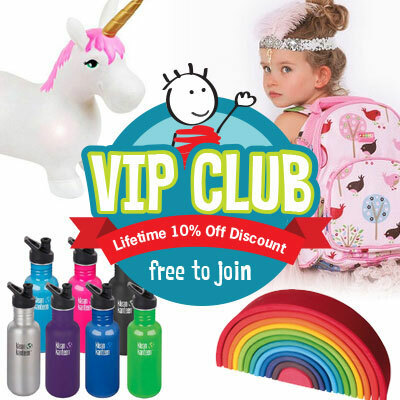 Great colours, great quality & convenient that everything is in one bag! 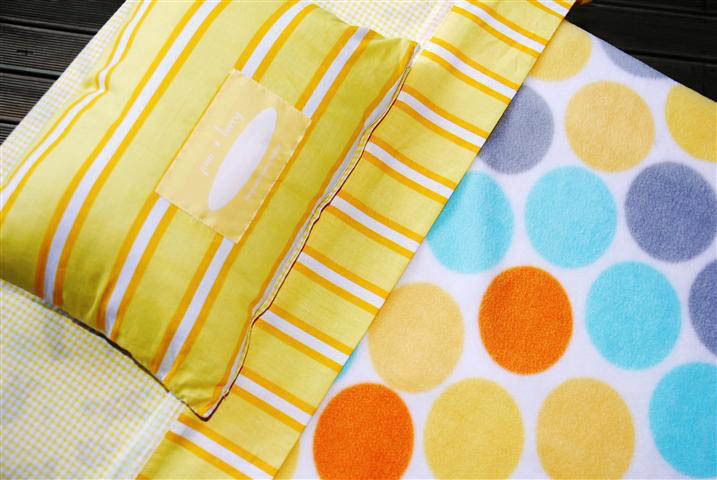 These preschool linen packs are a beautiful way to make naptime simple. Instead of packing an under AND an over sheet for my little ones, I pack their own pretty Jamberry packs which come with a pillow as well as an easy carry bag. The teachers love me because my kids beds are so easy to make, and so much more distinctive than the variety of cot sheets the others kids. We find them simply terrific for overnight stays everywhere else too - perfect sizing for the portacot and my kids feel at home straight away.